Mohammed and Shomirun have been Forever Business Owners for many years and they have recently achieved the coveted position of Sapphire Manager. Sapphire Managers have at least nine personally-sponsored Managers in their downline and are able to earn an additional 1% on their income. This percentage may sound small, but it can actually make a significant difference to an income! KH: WHAT WAS LIFE LIKE BEFORE FOREVER? MA: My sponsor and I were in another network marketing company for about a year before we found Forever, and although we were excited about the business opportunity, the products weren’t consumable. We therefore decided not to continue and instead I used my time to focus on my traditional businesses; this included running a transport company. KH: HOW DID YOU DISCOVER FOREVER? MA: After a few years, in 1997, Shareef called me to say he had found another exciting company which was well established. We arranged to meet and I joined Forever immediately after listening to his one-to-one presentation. However, I started to lose interest in the idea after talking to my friends and family as their reaction was fairly negative. Despite this, my sponsor had recommended several products to me so I gave them a try anyway and, in a short period of time, I was surprised to find good results. I was so impressed that I sat down for a planning meeting with my sponsor, made some serious commitments, set goals and became Manager within two months! That’s when I decided to give up on all the other businesses I had so that I could focus purely on Forever. KH: WHY DID YOU CHOOSE TO CONTINUE RUNNING YOUR BUSINESS AFTER ALL THESE YEARS? MA: Over the course of the last nineteen years I have been approached by many people from other MLM companies, but none ever captured my interest as they were all just about the money. I feel extremely lucky to be a Forever Business Owner because I am not only receiving an income, but I am also blessed to have access to products that benefit my wellbeing. Today I drive the car of my choice, I can earn a slice of the company’s profit, I have travelled the world, and I have an income that I can save for my pension. The business really is so simple, and the best advice I could give new Forever Business Owners is to use all the products, attend all the meetings, and share the products and opportunity with absolutely everyone you meet. KH: HOW HAS FOREVER YOUR LIFE? MA: Forever has given me back time with my family, and it’s given me stability – before I was finding it hard to make ends meet! I want to thank Shareef for giving me courage, making me believe that I can be successful, showing me the light when I couldn’t see, and for travelling with me everywhere just to make me successful. We will certainly be friends FOREVER! I want to tell everyone in my team that I love them so much; without them I wouldn’t be where I am today, and I would like to thank Rex for creating a profitable environment where individuals like myself, can become, with dignity, what they want to become – thank you! "I feel extremely lucky to be a Forever Business Owner because I am not only receiving an income, but I am also blessed to have access to products that benefit my wellbeing." If I’m honest, at first I didn’t think the business was for me. I’d never sold anything before and since I was so busy with the charity, a couple of other small jobs, and four children, I didn’t think I had the time. However, my background is in research so my natural intrigue caused me to look further into the company, the products and the possibilities. I purchased the Business Owner Box and after a couple of months I really started to see Forever’s business potential. Our sponsors didn’t know, but for a long while Alan and I had been praying for a new venture that we could run together. Alan works in TV sound and absolutely loves his job. He is very lucky, works on all the big shows and even went to Rio to work on The Last Leg and Paralympics. However, the older he gets, the more he wants to reduce his hours. Ideally he’d like to be selective about where and when he works, but until Forever, such a choice seemed unlikely. I also had a promising and well-paid TV career, but I had to give it all up as the unsociable hours and travel didn’t fit with the demands of a family. I also adore the work I do for The Lunchbowl Network – the charity cares for orphaned and vulnerable children in Kibera slum, and I raise awareness in UK schools and travel to the project in Nairobi – but this role is entirely voluntary. Lunchbowl will always be my passion, but I’ve always missed having a career. Forever has given me a second chance. I can now build and train a team of people, we have new travel opportunities, and we are excited about building our business globally. Our team, ‘The Aloe-luias’ are lovely and we have made so many new friends. What’s really been amazing though is how our involvement in Forever has also benefitted The Lunchbowl Network. Many Forever Business Owners (FBOs) are now heavily involved with the charity and we have made friends with FBOs from Scotland, Scandinavia, Ireland and from various places in the UK – we can’t wait to meet them at Success Express and the global events! It hasn’t always been easy, but we have had the opportunity to plug into self-development and setting goals. Our focus now is all about our team and helping them to achieve Manager too – we can’t wait to see what 2017 brings. I originally wanted to be a physiotherapist but when I was on a year out I decided to start a career in marketing. I eventually moved into B2B marketing for some of the top marketing agencies serving the technology industry. I enjoyed the casual, creative and fun environment of working for an agency, and I was running some of the world’s largest technology accounts, such as Microsoft. It was more than 9-5, and I was fine with that until I had my family. After having my daughters I decided to work for myself, part time and freelance so that I could choose my hours and work flexibly around the family. But when my son was five months old, out of nowhere I came down with severe pneumonia. It was so bad I had to have my husband write my will. It took me two years to properly get back on my feet and the result left me with a heart condition. When Jack turned four and started school, I was deciding whether or not to take on more freelance work. That’s when I wondered whether there was ‘profit’ to be made from the Forever products. One of my best friends told me about the C9 six months earlier and after completing the programme I felt incredible. The products had won me over, but I didn’t know anything about the business side or even that there was one. I decided to approach a lady who had a stall at a local village carnival to find out more. We met for coffee and she presented the business to me. I sat there quietly and I was surprised to learn that there was a whole marketing plan behind the products. The opportunity ticked a lot of boxes for me in terms of flexible working, and in all honesty, I thought it was too good to be true. My timing couldn’t have been worse. We’d just moved out of our house for renovation and I was working every day. We had children at three different schools and we were living at my parents. I was going to put it off until the new year, but my husband encouraged me to give it a go. I spent a month using the products and learning the business, and I started to qualify for incentives. I achieved Supervisor over the following two months and that’s when I became serious; within six months I was promoted to Manager! I absolutely love my team and who I’ve met along the way – Forever has given me a sense of purpose, but more importantly, flexible fun and an opportunity not to be missed. "The opportunity ticked a lot of boxes for me in terms of flexible working, and in all honesty, I thought it was too good to be true. " My background is in neonatal nursing caring for premature babies. I started my Forever business in December 2014 intending to stop having to take on overtime. Some weeks I found myself working sixty - seventy hours at the hospital as I was trying to save for my wedding the following year. Within five months of joining the business, I had reached Manager and matched my nursing income. This enabled me to stop my overtime, but it also meant I could go part time at the hospital. This was then followed by a six-month career break as I was dealing with some stressful situations near the end of 2015. In the space of a month, I got married, lost my Nan and lost our first baby. Forever helped me to get through those hard times by giving me something to focus on. I had received a lot of support and training throughout my time in the business, and I had a good mindset. This meant I was able to deal with all I was going through and I could continue to build my Forever business whilst remaining positive. Even though it was a sad end to the year, I still qualified for Global Rally (1500CC) and I have since qualified for Senior Manager. After achieving this promotion I was able to hand in my notice at my nursing job. Forever has given me the vision that anything is possible. Life is too short, and I want to embrace everything and make the most of every bit of time I have with my friends and family. I loved my nursing job, but I love my freedom and flexibility more – that is what Forever has given me. Forever has also given me a lot of self-confidence. Confidence and self-belief is something I've always struggled with; speaking to people in large groups, never mind presenting a Business Presentation, absolutely terrified me. However, with the support of my upline and the belief that they gave me, I now regularly present at my local Business Presentation, I host my own trainings and webinars, and I have more confidence than I have ever had in my life. Confidence is something I never thought I would have, but thanks to Forever, I know that I can do anything if I put my mind to it – and I will! I agreed as I was happy to support my friend, but I also liked that I wouldn’t have to lift a finger in preparation for the party – she offered to organise the catering and everything so that I could simply be a guest in my own home. To be honest though, I was also curious; my knowledge of the product range was very limited. I had only been introduced to Forever Bright Toothgel previously, so I was interested in learning a bit more. We had a lot of fun that evening, sixteen people attended in total and I was impressed by how professional the team was at setting up and presenting the products. I was also struck by the integrity of the company – I loved that they offered a sixty-day money-back guarantee and that the aloe was organically-grown, pesticide-free and hand-harvested. I was also fascinated to learn about the nutritional ingredients contained within the products. I made the decision to buy the Business Owner Box as I wanted to benefit from the discount on future purchases. I was not interested in the business side of things – I had work and other commitments – I was just keen to get my discount! Throughout the months that followed I naturally found myself talking to friends, family and colleagues about the products. I used all the products in the Business Owner Box, I went on and did the C9, and I purchased other products for personal use too. Friends and family wanted to know what I was doing and how was I doing it, and, five months later, I realised that my Forever business had taken off. Despite being a mother of three young children, holding two jobs as an accountant, and working other commitments such as teaching Sunday school, I was determined to give my business a real go. I held my first product launch, which was promptly followed by further presentations, and although not all were well attended, I quickly learnt that it wasn’t really about the volume of people, but engaging those who had a passion for the products. The success I’ve seen so far has been down to my passion and the amazing support given by a Senior Manager in my upline, Celestina Egbor. I’m having so much fun hosting tea parties, doing table-top displays in my local community, and supporting my friends with their respective launches – I really have loved every minute! "I was determined to give my business a real go"
I’m mum to two boys, Mikey, nine, and Caiden, sixteen months. I was introduced to Forever when thirty weeks pregnant with my second son. Michele, my sponsor, asked me to share a post on Facebook about earning an extra income, and since I was soon to be on maternity leave I was intrigued as to what it was about. I signed up the next day. In the middle of November, whilst I was still on maternity leave, I received a phone call to say that there were going to be redundancies at work and my job was one they were looking to cut. The following weekend I attended my first ever Success Express event in Glasgow. It was amazing. The atmosphere was electric and I received my Supervisor promotion. I came home that night and cried, not just because I'd driven five hours in the snow, but because I could see the impact the opportunity could have on my family. In December my business doubled. I was made redundant but I didn't care as I knew everything would be ok and from then on my business continued to grow. I now work part-time as a payroll and bookkeeping assistant for an accountant’s, which I love, and thanks to Forever I have been able to take my kids to Legoland (Mikey had it on the goal board). I just love that I have spare time to spend with my boys! I now believe that anything is possible. I used to be really negative, believing that the successful person could never be me, but now I know I can have it all and more. All it takes is hard work and the belief you can do it. "I just love that I have spare time to spend with my boys!" I graduated in 2009 and took off around the world for eight months with my partner, which was a lifetime experience. My working life started on my return and I found myself in the financial industry. Although it wasn’t the industry I wanted to be in for life, I was given the opportunity to effectively double my income by obtaining qualifications. Within two years I achieved these qualifications but discovered my earning potential was capped. Being somewhat ambitious, I continued to work towards chartered status, but I vividly remember feeling quite disheartened when I realised there was no more personal or financial recognition. I knew there had to be more to life than being stuck in a rut with no opportunities for progression. Fortunately, Forever found me in February 2014. My mum had recently started Forever and, as you can imagine, I was fairly negative and sceptical. This was due to being fully immersed in the rat race. However, after taking a look at the business opportunity I could immediately see the huge potential and the time and freedom it would give me. I grabbed the opportunity and ran with it despite being struck by negativity from people, and I hit my first promotion in seven weeks – I felt as if I needed to prove to friends and family that the business worked. Despite this, my journey to Senior Manager was not the fastest; it took me sixteen months to get here but I learnt a lot about myself along the way. I came across challenges and obstacles and I realised that not everyone will immediately see what I saw. My ultimate goal was to ‘sack the boss’, and in January 2015 I wrote this goal down and noted that I wanted to handmy notice in by September 2015 – and that’s exactly what I did! Goal-setting is a very powerful thing and it’s incredible to think I am now a free lady. Forever has enabled me to travel more and it enabled me to purchase my dream car outright – I don’t say this to impress anyone, but to impress upon the power of Forever. I am only just beginning, and now my mission is to serve and help many others create the life of their dreams as well. "I knew there had to be more to life than being stuck in a rut with no opportunities for progression." You never know what life is going to throw at you and when something affects your health it can be difficult to see a way out. Supervisor Mike Fielder eventually found the light at the end of his tunnel, but the journey getting there was far from a smooth ride. I suffered a herniated disc when I was eighteen years old and I’ve lived with pain ever since. When I was twenty-one I had an operation but they made a real mess of it and refused to believe me when I told them the pain was worse. It wasn’t until eight years later, when MRI scans were available, that the doctors realised I had three prolapsed discs and a compressed spinal canal. The situation was pretty serious and I had to re-mortgage my house to pay for a private operation the following month. Fortunately the surgery was successful. Everything was fine for ten years and I was even able to start my own construction business. My business was a success and everything was going well until one morning, whilst rushing around getting ready for work, I tripped and fell down the stairs. I undid all the good work the surgeon had done and I was eventually told that a further operation would do more harm than good. My body was starting to fuse the vertebrae on its own and the pain was unbearable. I did try to live a normal life but the pain was making me lose all concentration and common sense. It was during this time that I noticed an old friend posting on Facebook about a company called Forever. At first I took no notice, but after a few months I decided to find out more and I was invited along to a Business Presentation. I spent the whole hour trying to find fault with the business, and when I couldn't I jumped on board. I needed a new future, but what I found was nothing short of a miracle. mental vehicle I needed to get my life back on track, and I can't recommend the opportunity highly enough. "I needed a new future, but what I found was nothing short of a miracle." discovered we were expecting a baby; Jack was born and things were perfect! I was made redundant again whilst on maternity leave, and, out of desperation, I took on a fixed-term contract and forfeited some maternity leave and pay. This is when I met my sponsor. I decided to start a Forever business as I was nervous about the corporate world and felt insecure with having a child. I saw the potential instantly and knew that I was where I needed to be. I could genuinely help people to change their lives. It fit, it felt right and I was excited. has given me all the tools required to succeed. "I could genuinely help people to change their lives. It fit, it felt right and I was excited." In 2010 my husband and I were in a car accident which resulted in me having major health problems. For three years I endured tests, MRI scans, and my health was under constant investigation. I was on morphine and a concoction of various drugs before they found I had osteoarthritis, facet joint disease and, after two years, they finally diagnosed me with ME. I spent most of my time in bed, pumped with pills and I thought I would never get better – it was an awful way to exist. Three years later, in September 2013, I started my Forever journey. I did the C9 and although I had great results I thought no more of it until April 2015. I had just returned from Thailand and I was sifting through holiday pictures when I realised I had seriously let myself go. My health was a mess, my life was a mess, and my mindset was horrendous. I am a mum of six beautiful kids – Cherry-Blossom, Sally-Cinnamon, Travis, Flower-Joan, River-Lennon Leaf and Thai-Star – so I knew I had to do something, and I knew I had to do it for my children. their belief – I couldn't have done it without the support I received from Ange Loughran and Camilla! I am aiming to give my family a bigger home, but I also want to enjoy more free time with them to make up for those three years I lost. I’m deaf, have ADHD and I’m number dyslexic so it takes me ages to learn anything, but today I’m a true retailer and I’m proud to tell people that I love Forever. "no-one could walk past me without knowing about aloe – I really was a walking product of the product." with shift work. The long hours and overwhelming feeling of guilt was too much and I realised I needed something else. In 2013 my friend introduced me to Forever and although I didn’t have a clue what she was talking about, I trusted her. I had a good feeling about Forever and I liked the idea of earning an extra few hundred pounds so that I could reduce my police hours. It took me a few months to adjust – I had spent eleven years as a police officer – but I really struggled to find a daily routine, let alone work a business from home. Over the months my business fell away, but I never lost sight of what I wanted from Forever, it was just taking me a lot longer than expected. In May 2016 I decided enough was enough; I resigned from the police and suddenly a weight was lifted. I am now rebuilding my business whilst working part-time in an office, which I really enjoy. I feel in complete control of my life and I am doing things that I was never able to commit to before. I play and coach football, I’ve achieved my FA Level 1 Coaching Award, I’ve become a school governor for my daughter’s school, I’ve taken up running and I also completed the Paris marathon in April 2016 – this was a huge achievement for me. Forever opened up my eyes to what is possible, it made me see that there are other options. I now have time; time to spend with my daughter, time to take her to school and pick her up again, and that is absolutely invaluable. My advice to anyone who is feeling like their business isn’t progressing is to take some time and invest in yourself, but most importantly you should never give up on your dream, despite how rocky the journey is. "I feel in complete control of my life and I am doing things that I was never able to commit to before." I joined Forever when I learnt I could earn money from home by working flexibly around my daughter and my university course. I’ve been a single parent since my daughter was born, and although I have a professional background in marketing, I was told I couldn’t return to work part time due to 'business requirements' – whatever that means! I fought the decision, and ultimately got nowhere, so I got another job. However, I quickly lost this when my daughter developed a lung condition and I had to take time off. For twelve months I found myself stuck in a pattern of starting new jobs and losing them for being 'unreliable'; eventually enough was enough. I'd never been on benefits before but suddenly this was starting to look like the only (and better) option. Instead I decided to go to university to study. I figured I would only be hurting myself if I had to rush off to collect my daughter from nursery; by being at university I wouldn't have the pressure of letting employers down. However, I knew that when I finished for summer I would have to get a job again to see me through until September, but I was scared. Scared of letting people down and being spoken to like I wasn’t capable of doing my job. When my friend told me about Forever, I had just been diagnosed with Polycystic Ovarian Syndrome, which meant I was suffering with male-pattern baldness. 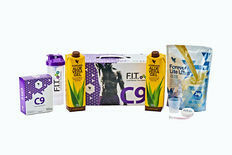 I was intrigued by the products and started drinking the Aloe Vera Gel and I also did the C9. I became so emotionally attached to these products that I knew I had to join. Since joining Forever I have made a lot more friends – my Forever family – and not only am I earning money, I can now fit work around my daughter, who is three, AND continue to study. My daughter will always be the most important thing to me, but my Forever business is a very close second – I've definitely got my sense of spirit back! Our background is in the NHS. I had been a paramedic for eighteen years and Ben had been in the ambulance service for ten. We only had three days off each month as a family, and times were hard. Although we earned a decent wage, we had no life and we missed having valuable time with our daughter, who was five years old at the time. It was evident that working twelve to fourteen-hour shifts, seven days a week, was taking its toll on us as a family. We became deeply unhappy in our circumstances and I got to a point where I’d actually cry before going to work. We just couldn't see a way out. Then, in October 2013, when I was working solo in the rapid response car, I got assaulted at work for the second time that year. This time it scared me. I was pinned against a wall by my throat, and my shoulder was damaged as he ripped the emergency radio from my hand; I was terrified for my life, particularly when the man wouldn't let me leave the flat. After this incident I took sick leave to have physio and it was during this time that I decided we needed to change our lives. It was December 2013 when Ben and I sat at our dining room table and tried to think of what else we could do. I hadn’t done anything else since leaving school so I was unsure of myself and my skills; how could I start something new? Then, in January 2014, I saw an advert for the C9. Since I’m an avid dieter, I decided to buy the C9 from a stranger via Facebook, and I was so pleased with the results that I asked to look at the business opportunity as well. I met up with Katie Forbes – now my sponsor – and I decided to join the same day. Ben was very sceptical and had no interest for the first six weeks (in which time I progressed up to Supervisor). But I knew from day one that this was my way out of the ambulance service, and Ben’s negativity only drove me more. I made Assistant Manager in nine weeks and Manager in eleven; by this time he was 100% on board and supporting me in my new venture. I returned back to work in March 2014 but I was only back for two weeks when the person that assaulted me decided he would put in a complaint about me, claiming that I assaulted him. This was the final nail in the coffin. In October 2014 we both handed in our notices to focus on Forever full-time. This was the scariest thing we had ever done, but also the most exciting. We realised that this had to work for us so we put every single available minute into it, banishing the negativity we faced from family. Promotions and incentives were all written down and dated so we knew that they would be achieved, and sure enough we started to tick them off one by one. It’s definitely true that if you write goals down they will be achieved. Ben used to write daily affirmations in a journal and at first I thought he was mad – but it worked. We also had to carefully consider our time management by segregating our time and using it wisely. Before Forever we were led to believe that life is about going to work for a set wage each month and spending more time in the office than with your family. But I’ve learnt you should never settle for second best. Now we are Soaring Managers and Senior Eagle Managers earning an income that we never believed possible. Instead we spend every minute of our time with our daughter – who is our world – and now we will never miss a single moment. I joined Forever in November 2012 and I managed to achieve Supervisor within the first two months, but I ended up staying at this position for a year; it turned out I had recruited people who didn’t have the same vision I did! I was frustrated as my business wasn't going anywhere and I felt stuck. I had also had a lot of bad luck with Lucia, my daughter – she was in and out of hospital – and I also felt my partner didn't believe in me 100%. However, I was determined not to give up as I could see the potential Forever could offer me and my family. My background is in hospitality management, which I initially worked alongside my psychology degree, but after graduating I couldn’t find a graduate job, so continued in this field. I enjoyed it to start with, but when our boys came along it became difficult to fit around family life. I was underpaid, childcare was expensive, and I felt like I was missing out on precious time with my children. I found Forever in March 2014 and thought I’d give it a go. Initially I just saw it as a means to make ends meet, but after I attended Success Express, I was absolutely blown away. I could see such excitement, and seeing all the people recognised for their incredible achievements made me think about how there’s no reason that couldn’t be me. I started to build a team alongside retailing, working on my mind-set and learning as much as I could about the business. I made Manager in eight months – even a broken leg didn’t stop me! By this time I had quit my job and was working the business around our children; never missing a moment. prison officer within the next year and run the business together. I’m incredibly excited to see what 2015 will bring for us and for our amazing team. We are keen to help them all achieve the big incentives and hopefully get them to next year’s Global Rally in South Africa. We may have big goals, but I fully believe that we can succeed. How has your life changed since becoming an FBO? Before Forever I was working as a team leader for Lloyds TSB Insurance, but the role didn’t provide the security and flexibility I was looking for; ultimately I wanted to be my own boss. I honestly don’t know where I would be today if I was still working for Lloyds; my previous partner left me with £33,000 worth of debt and there is no way I would have been able to pay that off on my previous income. Plus the financial constraint would have meant I’d struggle to start a family. Now I’m about to get married, I’m completely debt-free, my monthly income is double what my annual salary used to be, and I am able to give my children everything, including being around for them at home. world. Forever has given me complete peace of mind. Sometimes, when I think about my life, I think I’m dreaming; any minute I’ll wake up and be back in reality. So when I do actually digest that it is real, and it is happening to me – a little girl who now lives on the side of a mountain in Pontypool – I can’t help but burst into tears. It’s so overwhelming. Was your progression to Sapphire an easy achievement? It definitely took a lot of hard work and dedication. I had to work on myself – my mind-set and self-belief – but I think the activities surrounding recruitment are actually fairly simple. Working on my inner-self was certainly the hardest part for me to overcome since I grew up in a family that constantly struggled; I just couldn’t get used to the idea of having more than I’d always known. I learnt a lot from Dave O’Connor and Natalie Heeley; they helped me believe that it was within my grasp. I still have to work on my mind-set every day; I’m not the finished article (I doubt I ever will be), but I am more discerning about the way I think and the way I manage my time with people. I never ever thought that I’d have a life like I am living; I just didn’t think stuff like this would happen to people like me.How do you motivate your team?I don’t necessarily think you can motivate anyone; to be honest, to really succeed, I think they need to be willing and have that drive in them. But what I do think you can do is inspire someone. Encouraging others to find out what their goals and dreams are can really release someone into the business, and helping them to build up their mind-set, so that they believe in themselves, will enable them to realise that they can achieve anything if they put their mind to it. What useful advice would you like to share? continue to contact five brand new people a day, be persistent and consistent, and come from a place of contribution – I always try to take myself off the agenda so that others can reach their full potential. But most of all remember that your mind-set is the most important aspect; it is this thatcan have significant influence on you and your success. When we first started Forever in March 2013, our plan was to buy a home in the South of France. We had this set for August and Forever was going to help pay off our outstanding debt in order to get us there. However, unfortunately our situation changed when my dad was diagnosed with cancer in the June. Then, in July, I went for an early pregnancy scan which detected a sizeable tumor, and suddenly our South of France dream was going to have to stay exactly that; a dream. Since signing up I had worked the business well and I hit Assistant Manager within three months. My sales were good and the money was welcomed from the team-leading bonuses, but these unfortunate circumstances sent me into a downward spiral; my focus shifted from the team to self-pity. The flights that were booked for our move turned into a holiday and once home I returned to work – a forty-hour week for no more than minimum wage! I was heavily pregnant, maternity leave was looming and we had no savings. A short while later I found myself watching Louise Perry tell her story at a Success Express event. As I listened I was an emotional wreck, but it hit home: if there is anything that will support my family should anything happen, it is Forever. I reconnected with my upline, Jaime Cayzer, and we set out a plan. I worked the business religiously knowing that whatever I put in I would get back tenfold. Fast forward twelve months and my health is good, our business has gone from strength to strength and, by working with the support of the team and by helping them achieve their goals, I progressed up the Marketing Plan and achieved several incentives along the way. What this business has offered us is life-changing and being able to share it with friends is an amazing feeling. Now we live in confidence, knowing that the South of France is no longer a dream – it’s a goal; a goal that we are back on track to achieve. For the past nine years I have been working as a qualified PE teacher, and so when I first learnt about Forever I didn’t see the opportunity as more than a means of extra income. However, after about two months – once I’d carried out some heavy research and retailing – I found myself hooked. I quickly fell in love with the company when I saw how my business, and my wonderful uplines, could flourish. I too then started to recruit others and I loved sharing the opportunity. I now have an amazing team that consists of both existing and new friends, and I am so grateful for how they are all helping me with my journey. Working with Forever is a really exciting opportunity as it offers more time and freedom and extra income. Please feel free to take a look through the website and magazines and get in touch if you need to know more. Forever is so excited to announce that we have welcomed a new UK F.I.T. Ambassador to the team! He won the rugby World Cup, was awarded with an MBE for his services to the sport and is an active anti-bullying campaigner. Ben Cohen is a former England rugby star who has achieved phenomenal success in the sporting world. However, his life hasn’t always been plain sailing and he has had to overcome many obstacles in both his personal and professional life. Kate Hodge, Forever UK’s Editor, recently caught up with Ben to talk about his talent for rugby, the importance of mindset, his love for Forever products and more! This exclusive and candid interview can be found in the latest copy of Aloe Matters (issue seventeen), available to buy here. During this interview, Ben reveals how he got into rugby by accident at the tender age of twelve after watching his friend play and being asked by the games teacher to make up numbers! This was his first ever game of rugby, and one which he really enjoyed. From this, he went on to play junior rugby for Northampton Old Scouts RFC and as a result went on to play for Northampton Saints, win the Heineken Cup and then successfully secured a place on the England squad! Like all successful sportsmen and women, Ben has a strong understanding of the importance of mindset and revealed that the winning mentality is all about detail. He explains that knowing your game and your own strengths and weaknesses is vital and can make you indestructible. Ben’s strong work ethic also helped to shape his mindset during the height of his career and stresses that nothing comes easily, and you should work hard at everything you do. Ben played rugby for England during the 2003 World Cup. The final, England verses Australia, was won by England, 20-17. Ben has three daughters: twins Harriette and Isabelle (aged 9) and Milena (aged 1). Ben’s uncle, George Cohen, played for the England football team in the 1966 World Cup. Ben is clinically deaf and has 53% hearing loss in each ear. Tragically, in November 2000, Ben’s dad, Peter Cohen, was fatally assaulted whilst protecting someone else. As a young child, Ben lived in Spain and when they moved back to the UK his date of birth was recorded incorrectly. He ended up being in the school year above the one he should have been. In March 2016, Ben won Channel 4’s series ‘The Jump’. Ben took part in the 2013 series of Strictly Come Dancing. Ben has completed the C9 five times in total. Ben is passionate about putting a stop to bullying, particularly homophobia. Ben played rugby for over twenty years before retiring in 2011. You can find out more about Ben Cohen at www.facesofforever.com. Please join us in giving Ben a warm Forever welcome! As we all know, ageing is an inevitable process that we cannot stop, slow down or pause – it is a fact of life whether we like it or not. In modern day society, we have become fixated on the ageing process from a cosmetic point of view since most people associate youth with looking and feeling better. One survey*, carried out by the Anti-Ageing Health and Beauty Show, found that wrinkles and loss of skin elasticity were among the top anti-ageing concerns amongst British women. Although the process of ageing cannot be controlled, we now know that we can help to prevent the visible signs of ageing thanks to the evolution of science. Using the best of both science and natural ingredients, Forever has created an innovative range of advanced skincare that focuses on the issue of ageing skin. Infinite by Forever is our new line of skincare which uses peptides, natural minerals, botanicals and desert plants which work synergistically with the key ingredient of aloe, to increase its efficacy and benefits. One of the key findings of research into skincare has found that hydration is vital in helping skin to appear younger and reducing the appearance of fine lines and wrinkles. Picture your skin as a juicy plum: moisturised, taut and smooth. This fruit represents young, healthy skin. However, as we age, our skin loses moisture faster. Add in environmental factors like pollution and the sun and our skin loses elasticity, lustre and firmness. Dry, ageing skin appears dull and is more prone to wrinkles and fine lines – just like a plum that’s been stripped of its moisture. Whilst we can’t turn back the hands of time, we can restore skin’s moisture balance, stimulate healthy collagen levels and reduce the appearance of fine lines and wrinkles – making your skin appear more like a freshly picked plum! This fruit analogy explains how the hydrating ingredients in Forever’s anti-ageing products help skin to appear radiant and youthful. Whilst topical products are key to caring for your skin, we also know that to deliver a truly powerful skincare regime, we need to combat ageing from the inside out. Forever’s first ever beauty supplement, Firming Complex, contains a proprietary blend of French melon concentrate, biotin, phytoceramides, Vitamin C and marine collagen. Taking collagen orally has been shown to reduce the appearance in the depth of facial wrinkles and increase skin’s bounce, flexibility and hydration. The role of biotin is also important as it contributes to the maintenance of normal skin. Added to this, Vitamin C contributes to the normal collagen formation for the normal function of skin. In an age where fifty is the new forty, people are feeling younger than ever before and they want their appearance to reflect this. What are your main anti-ageing concerns and have you tried our new Infinite by Forever range yet? We would love to hear from you so please post your comments below. To celebrate 40 years of Forever Living, we are going home to the USA in 2018! Global Rally will be held in Dallas, Texas from 22-30 April. You’ll get the chance to see Aloe Vera of America and be closer than you’ve ever been to our Aloe Vera plantation in Mission, Texas. Eagle Managers Retreat will be held in Phoenix, Arizona from 07-13 October. Soar like an eagle to the heart of where Forever started where you will get the opportunity to learn and network with the absolute best in the business. Forever UK is excited to announce the launch of new innovative products to enhance its already impeccable range. The new products, officially launched at Forever’s 2017 Global Rally in Dubai, will soon be available to buy in the UK, so stay tuned for more information! In the meantime, explore Forever’s new products here. 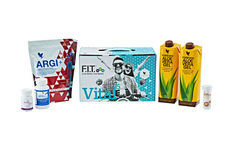 The new products fall across three popular product categories: skincare, sports and weight management. It is great to keep active, but eventually it can take its toll! Forever Move features a proprietary blend of two powerful ingredients not combined anywhere else in the world! Natural eggshell membrane – which naturally occurs in glucosamine and chondroitin – has been combined with high quality turmeric, a prized Asian root which has become very popular with people who lead active lives. You’ll not only see the difference, you’ll feel it, too! When creating Infinite by Forever our experts found peptides, natural minerals, botanicals, desert plants and the latest skin science that not only complement aloe, but actually increase its efficacy and benefits. These formulas build upon each other to provide you with potent skincare that reduces the appearance of fine lines and wrinkles, improves the smoothness of your skin, supports beauty from the inside out and leaves you with radiant, moisturised skin that looks and feels younger. More information on the products and release dates in the UK will be shared in the coming week. Make sure you stay up to date with all the latest information. Follow along on www.foreverknowledge.info, www.foreverliving.com and Forever UK Facebook page. Watch this space! Take some time for yourself every day to clear your thoughts and find your inner calm. Modern day life is full of stresses and strains which can leave even the most resilient of minds feeling overwhelmed. Why not try your hand at yoga or take a Pilates class with a friend? Alternatively, if group activities aren’t your thing, simply light a few candles in your bedroom and attempt some solo meditation to unwind at the end of a long day. In order to create a relaxing environment, try stimulating your senses with aromatherapy using Forever Essential Oils. You may find that Lavender is particularly beneficial, due to its proprietary blend which is traditionally known to soothe, balance and promote inner-peace. You can use these essential oils either topically as massage oil or in a diffuser depending on your own personal preference. Please note, it is crucial that you dilute all essential oils with the Forever Carrier Oil before use, please click here to see our full list of guidelines for using Forever Essential Oils. Your body truly is a temple which requires the right fuel and exertion for optimal performance. Make sure you are treating it with the love and respect it deserves and you will almost certainly feel better for it! The long, harsh winter is finally over and it’s time to come out of hibernation mode and prepare our bodies for the year that lies ahead. Make sure you never skip breakfast, drink plenty of water and ‘eat the rainbow’ to ensure you get the full variety of vitamins and minerals that different fruits and vegetables provide. We all know that eating a balanced diet and incorporating exercise into our lifestyles is important for our health, but what do you do if you are struggling to ditch bad habits and transform your way of life? The C9 is a great place to start! The nine day programme has been designed to kick-start your healthier lifestyle and adjust your mindset before moving on to F15 and taking the next step to looking and feeling better. Take the plunge today by committing to a healthier way of life and you will be reaping the benefits. Most of us will be familiar with the saying ‘Clear space. Clear mind’ and it does tend to work for the majority of people. If you are surrounded by clutter, the more easily you will find yourself distracted and less focused, increasing your chances of procrastinating. Spring is the perfect time to spruce things up and have a good old declutter! Find the time to commit to a full day (or two) of cleaning and sorting your home to create a fresh and organised space. Take each room at a time, and divide items into three piles – ‘throw away’, ‘donate to charity’ and ‘keep’. The extra space you’ll gain from doing this should inspire you to persevere and make sure you treat yourself to some attractive storage solutions after conquering each room as a reward. Once you are satisfied with the decluttering process and your newfound space, it’s the time to get cleaning! We recommend using a multipurpose detergent such as Forever Aloe MPD due to its versatile cleaning power. Forever Aloe MPD is the perfect product for undertaking those notoriously neglected chores such as mopping the floors and scrubbing the bathroom tiles, as well as for every day household jobs such as washing the dishes and tackling your laundry pile. Do you have any tips on spring cleaning your life? If so we would love to hear them – post them in the comments section below! I have team training sessions most mornings so I wake up between 6:00am and 6:30am before starting my day. I like to get some supplements in my system as quickly as possible so the first thing I reach for is Forever Arctic Sea and Forever Daily – I take these with a big shot of Forever Freedom. Then it’s time for some food! I will usually have some porridge with chopped up banana or blueberries mixed in, and sometimes I’ll add a scoop of Forever Lite Ultra. Once fuelled up I quickly get dressed and hop into the car to head to basketball practice. Practice will usually last from 8 ‘til 10am and whilst walking to practice I always have my Argi+ bottle filled with water and an Argi+* sachet to help energize me throughout my training session. During basketball season we are constantly reviewing video footage of our practices. This is a great way to review games, pick up on mistakes, see what we can improve upon and also a way to observe what we are doing well. Immediately after morning training we will have these film sessions, usually as a team but sometimes individually. After the training session I head straight to the weight room. I have a specific strength and conditioning programme from the team’s strength coach which is broken down into three different sessions throughout the week. These sessions are great for strength, agility, flexibility, injury prevention and endurance. They are broken down into four week programmes and once we finish the fourth week we are assigned a new programme with a new focus. This helps me build up throughout the season and stay strong and injury free. Once I’m done in the weight room I like to hit the sauna and do some stretching to relax my muscles. Alongside my role as a professional basketball player, I also work at a solicitor’s firm in Sheffield in a Marketing Executive role – I’ve done this for the last two years now. After training I therefore head straight into the office to work for the remainder of the day. It can get a bit hectic but it keeps life interesting and I enjoy working with so many different people and balancing both aspects of my life. I love to relax in the evenings. With such a busy schedule, it’s nice to get home at the end of a long day and just chill out. I like to have a good meal and then unwind on the couch with a box set or a film. Sometimes I’ll try and catch up with family and friends back in Canada (where I’m originally from) on FaceTime or over the phone. I’ll also take some time to prepare for the next day, plan out stuff with work and pack my bag for training. I try to get to bed at a decent time so I can start the process all over again in the morning! I think my mornings are pretty much always the same but if I don't have early morning training I might sleep in a little longer. However, I will still get up and take my supplements and have a good breakfast regardless of what the day ahead has in store for me. It’s really difficult to pinpoint just one moment as I’ve had so many amazing experiences with Forever, but I think the moment that stands out most in my mind has to be the first ever event I did. It was the Liverpool Success Express at the Echo Arena back in September. I went on stage in front of about 1,000 people to speak about my experience as a Forever F.I.T. Ambassador for the UK. Although I’ve played basketball in front of much bigger audiences, speaking on stage is a completely different experience. I was really nervous beforehand but once I got up there I actually really enjoyed it and it was great to receive such positive feedback afterwards. 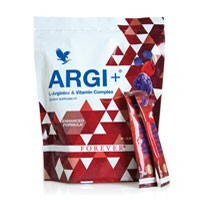 * Argi+ can help to reduce feelings of tiredness and fatigue due to its vitamin C content. 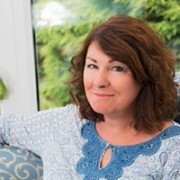 Kate Lewis is no stranger to the world of health and beauty, having previously worked for global cosmetic giants including the likes of Estee Lauder and Benefit cosmetics. Kate is a qualified beauty therapist (NVQ level 2 and 3), holds an HND in theatrical and media makeup and she has worked at Forever as a Product Specialist for just over two years. As part of her role, Kate is based in Business Owner Support and responds to all product enquiry emails and calls. She liaises with the Home Office for support and information from their product development team and she assists the marketing department from time to time with product based videos and articles. The harsh winter months can play havoc with my skin, leaving me with a dull and dehydrated complexion that is susceptible to breakouts. I can only put these undesirable side-effects down to the freezing cold temperatures outside and the warmth of the central heating inside. These extreme temperature differences result in some areas of my face being dry whilst other parts remain oily. After incorporating the Aloe Scrub into my skincare routine, I have noticed a huge difference. My skin feels so much smoother and I’ve even had a few compliments on my glowing and radiant complexion. The best way to apply the Aloe Scrub is to wet skin. Take a pea size amount and gently massage over the face, paying particular attention to the t-zone area which includes the forehead, nose and chin. Make sure you avoid contact with the delicate and thin skin around the eye area. Massage for approximately 2-3 minutes using upward circular motions and add more water if you feel necessary. Rinse the Aloe Scrub off the skin and pat dry with a clean towel. An added bonus of this product is that it can be used to prep the skin before applying fake tan. If, like me, you love to don a golden glow all year round, the Aloe Scrub is the perfect way to ensure a smooth tanning application and avoid unsightly orange patches! Gently massage the Aloe Scrub all over the body ensuring you pay particular attention to dry areas such as the knees, elbows and ankles. Rinse off and you’re ready to go. What does our Aloe Scrub contain? The thing I love the most about this product is that it doesn’t contain any harmful microbeads. Microbeads have had a lot of negative press recently since they pollute our oceans and are particularly harsh on tender skin. Aloe Scrub only contains gentle jojoba spheres which aren’t harmful to the environment and are kind to delicate skin. These natural spheres gently roll over the skin’s surface to remove dead skin cells and unclog pores – double win! Forever’s iconic yellow and brown bottle has become synonymous with aloe vera, and rightfully so – after all, Forever Aloe Vera Gel contains 99.7% stabilised aloe! For almost forty years we have been at the cutting edge of aloe production and we believe our patented stabilisation process sets us apart from the rest. In fact, we are so confident in the quality of our aloe that our Forever Business Owners can offer their customers an unconditional sixty day money back guarantee if they aren’t completely satisfied with the products. Here at Forever Living, we’ve always known that aloe vera is a pretty incredible plant, but a recent report from Expert Market Research has shown that the world’s love for aloe is also growing at a rapid rate. In fact, the global aloe vera market is predicted to reach $728 million by 2021.The same report also named Forever Living as being one of the top players in the supply of aloe, which comes as no surprise considering Forever Living produces over 60% of the world’s commercially grown aloe vera – now that’s a lot of aloe! US news outlet Bloomberg, warned it’s readership that a study it commissioned into aloe products found that reputable retailers were selling products that didn’t contain any aloe at all, despite them listing aloe vera as either the number one or number two ingredient after water. The International Aloe Science Council (IASC) represents the aloe industry and was formed in the 1980s to offer an independent certification programme to ensure both the quantity and quality of aloe vera in consumer products. We are proud to announce that Forever’s Aloe Vera Gel exceeded IASC’s high standards and the majority of Forever’s products have also been awarded with its Seal of Approval. Aloe vera really is at the heart of everything Forever Living does, which is why our aloe is carefully grown and cultivated , ensuring it is of the highest quality possible. Forever Living is dedicated to bringing the best aloe vera directly to you by ensuring our products are always of a superior quality. Forever Living is able to quality control the entire production process since we own and manage everything, from the plantations to the factories. Forever’s plantations in the Dominican Republic and Texas employ local farmers who carefully nurture the aloe plants with the same level of care and high standards that we put into every one of our products. Once the aloe arrives at our factories it undergoes scrupulous quality control testing – in total, Forever Living carries out over 1.5 million quality tests per year. That’s equal to one quality test every twenty seconds, twenty four hours a day…phew! Forever’s devotion to this little green plant has been going strong for almost forty years now! Our commitment to finding nature’s purest ingredients and pairing them with the latest scientific advancements is ongoing. The more our research and development teams discover about aloe, the more they fall in love with it! It is this genuine passion for aloe that drives our innovation to develop new and improved products year on year. I’m an early riser and love finding the time to do one of my favourite things first – visualisation! I have an awesome blueprint which I try to use every morning as I believe mindset mastery plays a huge part in our success. I then leap out of bed at around 6.00am and because I'm in competition prep mode I do fifty minutes of fasted cardio on my bike at home; I do this three days a week. This gives me the chance to think about my day, what I want to achieve and visualise the training I’ll be doing (for example, what muscles I’m targeting and how I want the session to go). My favourite breakfast meal is 50g of oats with a scoop of protein and five eggs (two whole and three whites) with a slice of toast. I’m a busy mum so packed lunches are a daily chore, plus I always prep my own meals for the day ahead. I’ve usually cooked up my protein the night before and that can be chicken, turkey or fish. I put my two meals for the day into containers to take out with me and I’m all set. I head over to the gym straight after the school run as I love training early; this is when my energy is at its highest. I also work as a personal trainer and usually train around two or three clients before heading back home to work on my Forever business; this usually involves phone calls, messages, one-to-ones or meeting a prospect for coffee. To add to all this, I always ensure I research and produce content for my blog and website. I also have to fit in coursework – I’m in the middle of studying to be a Nutritional Advisor and I’m currently looking at Behaviour Change Management. There really is no typical evening for me – I could be running a training workshop, researching training ideas or dietary strategies, conducting one-to-ones, going to a Business Presentation or simply running the kids around to their activities. Some things that never change are the family chores, the meal prepping, helping the children with their homework and working out. My nutrition is super strict and being in competition prep mode means my attitude to food never changes. I believe in good, healthy home cooking and my husband and I take it in turns to cook food from scratch every night. I have two extremely stand out Forever moments. One of them has got to be my first ever photoshoot with Sander, Forever’s professional photographer. I’d never done anything like it before and it was such great fun, albeit absolutely freezing in the gym! I had blankets to wrap up in between shots as it takes time to setup lighting at each stage of the shoot. It was really exciting to see the pictures afterwards. My second favourite memory was being on stage at Success Express launching the brand new Forever F.I.T. programme to thousands of Forever Business Owners (FBOs) in Birmingham at the end of 2016. Although initially it was a bit nerve wracking, when I got on stage I just remembered what I was there to do: share the incredible products and their benefits. The buzz was absolutely amazing! I am woken by my seven month old daughter Mila (short for Milena) at around 7am each morning. We go downstairs and I give her a bottle of milk before she has a play with her toys. I have a glass of water, some Forever Aloe Vera Gel and a glass of Forever Pomesteen Power before breakfast to set me up for the day ahead. My partner Ben and his daughters get up half an hour later to begin getting ready for school. Mornings in our household revolve around the children and making sure they are all sorted for the day. Our house is still relatively new and we are having quite a bit of interior design work done to it; people are constantly coming and going throughout the day which keeps me busy. Mila has two naps a day and Ben and I use this time to work out either together or separately. We love circuit training and Ben is a fantastic trainer so he puts me through my paces at our in-house gym. I also have a passion for hot yoga so I try and go two-to-three times a week. Hot yoga consists of practicing a fusion of yoga styles, including Bikram at an extremely high temperature – over 32 degrees Celsius! I’ve actually been practicing yoga for fifteen years, so it is a real love of mine. I took my first class in America during my twenties and immediately felt the benefits. I used to go to yoga classes four-to-five times a week when I was dancing; I found it so beneficial for both my body and mind! When Mila is awake we love to attend baby classes together. Our favourites are ‘Sing and Sign’ which teaches babies signing in a fun and interactive way, and ‘Water Babies’ which helps to lay the foundations for learning to swim. Mila adores these classes and it’s so lovely seeing her laughing and clapping away. Evenings are always a busy and fun time in our household. The children all play together and we often have Ben’s family members over for dinner. Ben and I try to take turns in cooking dinner but I am more than happy for Ben to take the lead in the kitchen as he is such an amazing cook. Ben can create really delicious meals – pulled pork is one of his signature dishes – and I’m even tempted to make him apply for Masterchef! At 6:30pm we start Mila’s bedtime routine and the older girls settle down to do their homework; they are usually in bed by about 7:30- 8:00pm. Once all the children are in bed, Ben and I love to chill and watch a film or the latest box-set – we find them so addictive! If one of Ben’s family members is available to babysit, we love to go out to the cinema and enjoy some quality time together. Mila’s routine. Now that she is seven months old she is in an established routine; I try to stick to it as closely as possible. Working out is also something that I make time to do even if I’m working away in London or I’ve had a really busy day at home. I find that exercising helps me to feel good and so I have to make it a priority. The promotional video I did for Forever in the dance studio. This was an incredibly poignant marker for me in the sense that it symbolised the start of my relationship with the company and it is a partnership I’m incredibly proud of. I have a genuine love for the products, so to be a part of the business in this way is a real blessing to me. Forever’s UK Head Office is really excited to have launched a new platform called ‘Faces of Forever’. This platform is accessible via Facebook and has been specifically designed to showcase the wide variety of people who have enjoyed success as a direct result of becoming a Forever Business Owner (FBO). The platform captures stories of people from different professional backgrounds who decided to take the plunge into the world of Forever. Discover more at facesofforever.com. This helpful tool highlights the achievements of people from different levels on the Marketing Plan, the stories of how they became FBOs, and why they decided to embark on the Forever journey. Some stories also share insight into the Forever business and the impact that becoming an FBO has had on that individual’s life. ‘Faces of Forever’ will also house information on the Forever F.I.T. Ambassadors, articles and video testimonials about Forever Business Owners, and inspiring content about the company. The platform aims to pinpoint what's at the heart of Forever by highlighting the ethics behind the company, the charities we support and the foundations on which the company is built. New content will be uploaded to ‘Faces of Forever’ on a monthly basis using recognition stories from Forever magazine and other relevant interviews. My alarm goes off bright and early at 6:30am and I always start my day with a shot of Forever Aloe Vera Gel and various supplements. I take a cuppa upstairs to my wife Lindsey and wake my two sons for school. We then head downstairs and share a light breakfast together. Whilst the rest of the household are getting dressed, I take twenty minutes to myself to clear my thoughts, remind myself of my goals and write down my list of priorities before finishing off with a short meditation session. 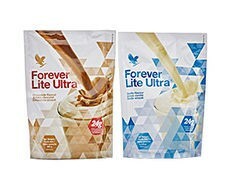 Lindsey and I take it in turns to do the school run and then it’s one hour of exercise followed by a Forever Lite Ultra shake. Mid-morning to lunchtime is spent making new contacts and following up existing prospects for our Forever business. I will also put aside twenty minutes to schedule my key social media activity. I tend to take around forty-five minutes for lunch and then spend my afternoons meeting prospects for one-to-one sessions, Business Presentations (BPs) or planning meetings with my team. We finish work for the day at around 3:30pm so we can collect the boys from school and take them to after school sporting activities. I also take my second shake of the day around this time. We have a light evening meal sat down as a family. Our evenings are usually flexible but tend to involve at least an hour’s admin work each night on the computer and there is usually a BP or launch event going on, along with our rolling training webinar which we host on a Sunday night. I then do five minutes of back and core-strength exercises last thing at night, but ideally I’m in bed by 11pm for a few minutes reading. My week is very structured but each day feels different. I change my workouts every four weeks and because we are meeting and working with different people all the time, I never get bored. The beginning and end to my days are like book ends and never change, but the middle of it can vary greatly. The only physical ailment I have suffered with over the years is my lower back so I always finish the day with my back stretches and core exercises. Exercise is something that never changes in the sense that I always train six times a week regardless of whether or not I’m on holiday, and from a nutritional point of view I remain very consistent with three main meals and two shakes a day. Getting a call from Forever’s home office asking if I’d consider becoming one of Forever’s Global F.I.T. Ambassadors!